The program begins with an introduction and demonstration of the specialized equipment used on our expedition. Students are chosen from the audience to demonstrate the high-tech Aqua Lung® SCUBA equipment we use to explore Nemo's home -- Australia Great Barrier Reef, including our awesome underwater scooters! After the SCUBA demonstration, we show how coral reefs are formed. 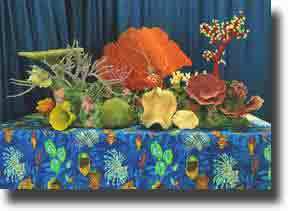 We build a coral reef on stage using castings of the actual corals from the Great Barrier Reef! Another demonstration uses specially designed corals, that nest one inside another, to show how corals grower larger over time. After the demonstrations, undersea explorers, Wayne and Karen Brown, take your students on their exciting adventure, via a fascinating high-derfinition, digital multi-image presentation, to explore the largest living organism on earth, the Australia Great Barrier Reef...and the home of Nemo, from the Disney/Pixar movie, Finding Nemo! This multi-image presentation shows the unique character of our planet. 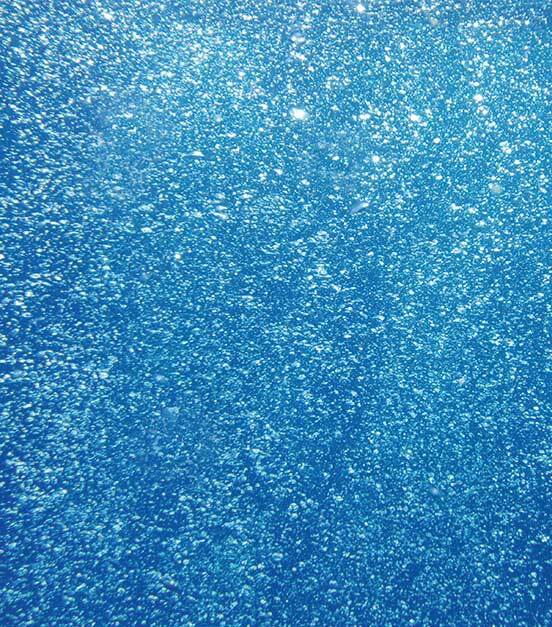 The earth is not really a land planet, but a water planet. To meet the creatures in this watery world, your students are invited to join the Browns on the expedition boat where they meet the captain divemaster. As they accompany Wayne and Karen on a scuba dive, your students see the incredible diversity of life on the largest coral reef on earth. Your students also meet the Nemo and some of his underwater friends from Finding Nemo. We see a fascinating variety of marine creatures big and small, from the most docile to the most dangerous. The students learn about the special relationships between different creatures. They also learn how some fishes protect themselves from predators and search for food. After the multi-image presentation, your students discover what a coral polyp looks like when you are the size of the microscopic plankton eaten by coral polyps they come face-to-face with an 8-foot fall inflatable, coral polyp. If time allows, at the end of the presentation a brief time is set aside for your students' questions and answers. © 2012, The Ocean Adventure All rights reserved.